Have you recently added a room or renovated a room? Don’t just let that room just sit and look nice. Make it more livable with room add-on service. B&L Ott’s room add-on service allows you to add air conditioning to any room in your home. There are two main options B&L Ott offers for adding air conditioning to a room. This includes installing a mini-split system or renovating a pre-existing duct system. Mini-split systems are a separate air conditioning system that can cool a single room. They don’t require the installation of air ducts and are more efficient than forced-air systems. Without air ducts, energy is not leaked. Cool air goes directly into your room, thereby saving energy and money. Mini-split systems can also be used if certain rooms in your home are not receiving much of the air flow. Installation for a mini-split system is fast and easy. A B&L Ott technician will set up the outdoor unit on a concrete slab outside your home. This unit releases heat and pumps refrigerant through the coils. An indoor unit will be mounted on a wall inside your home. This unit removes heat and moisture from the air. Finally, the B&L Ott technician will connect the two with some wiring and tubing. Another option is renovating a pre-existing duct system. If you want to connect your forced-air HVAC system to another room, additional ducts can be installed. This option can be expensive if you only need one or two rooms cooled. However, it is more cost effective when cooling multiple rooms or a large area. When you schedule an appointment with B&L Ott, we will send one of our professional technicians to inspect your current system. They will discuss your expectations and answer any questions you may have. They will begin to plan and map out the additional duct routes. You will also get a walk-through of the process as well as an estimate of cost and time. B&L Ott also offers extra HVAC features that further improve the air quality and comfort in your home. If you want cleaner air, we can add a whole-house filtration system to your HVAC system. This option is helpful for asthma and allergy sufferers. It can also help counteract the effects of excess dirt and pet dander. We also offer smart technology that provides more control over the air in your home. Smart technology can regulate exactly where and when heat and cool air is directed in your home. You can schedule temperature change patterns and remotely change the temperature in your home. We also offer sensor-activated heating and cooling. Contact B&L Ott to learn more. Interested in additional air conditioning or HVAC features? Schedule an appointment with B&L Ott today. 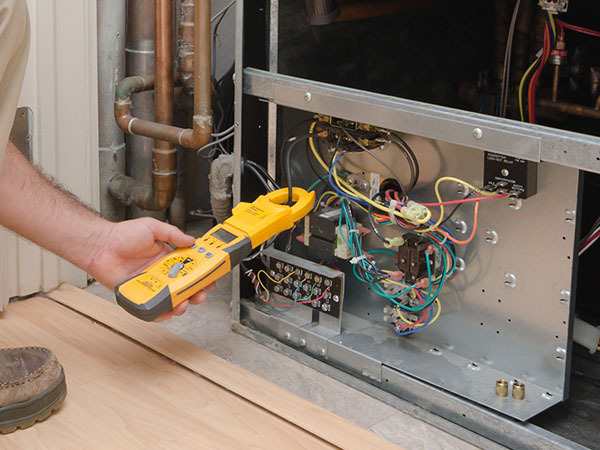 Our knowledgeable HVAC technicians can help you choose which options work best for your home. Let’s Add a Room to Your Heating and/or AC!